How do kids learn to be active citizens in their school communities and beyond? Inquiring Minds USA offers democratic tools, processes and programs that improve student engagement, self reliance and development. We simultaneously provide professional development for elementary and middle school teachers and avenues for students to cultivate their personal and communal agency in the school. In the process students develop a strong sense of autonomy as well as civic engagement. The rewards are great! Motivated students become helpful problem 'seekers and solvers' and can improve the school’s learning environment and overall community. Our tools, programs and processes may be used in the (programmed) classroom as well as during after school (soft) learning time to help schools make the cultural shift to project-based, student-led learning and to nurture civic participation within the school's communities and common spaces. Below are snapshots for 4 different offerings that help us achieve these goals. Scroll even further down for a bit more information, videos, photos and detail. LEARNING WALLS Co created by students and teachers, a learning wall is a pin-able, write-able surface in the classroom. Its an Interactive, integrated approach to inquiry at all elementary grade levels that makes the students' thinking visible. By incorporating the Learning Wall as a tool to enhance the curriculum, children and teachers use democratic, cooperative 'thinking and doing' each and every day. PEACEKEEPERS PROGRAM Upper elementary students are trained to lead this program in which they may intervene in conflicts within the school (as well as on the playground, at home) to work out amicable resolutions. The social-emotional benefits are felt across all elementary grade levels, in the school overall and beyond the school. 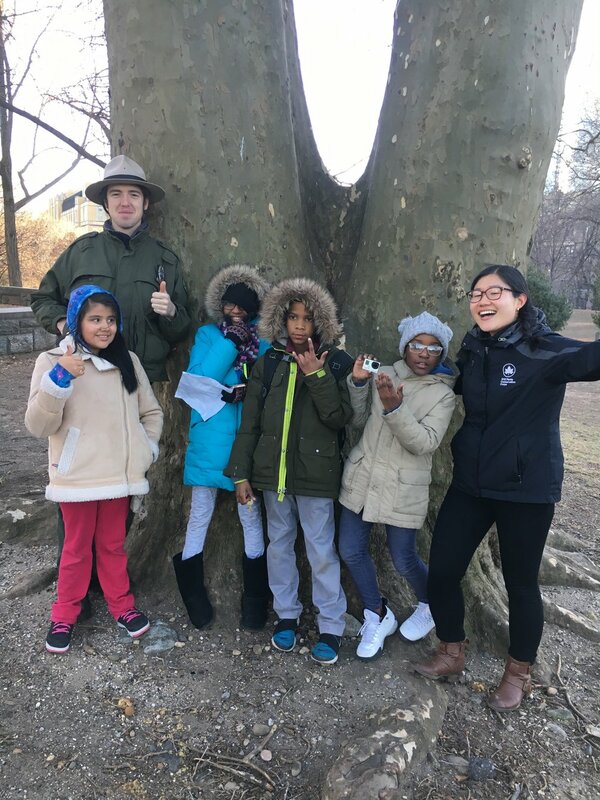 KID REPORTERS Tapping into their shared interests in their school community, 4th and 5th graders form a journalism team which publishes articles of their mutual choice.These may appear in the school newsletter or online. KIDS' COUNCIL PROGRAM Upper elementary students, who are elected by their classmates to represent them, collaborate to improve aspects of the school that they identify. They use inquiry and design thinking strategies in the process. Kids' Council is student-led and also incorporates PeaceKeepers in its programming. HACKING THE BRAIN WORKSHOP This practical, interactive workshop for teachers, parents and students is led by neuroscientist Dr. Elizabeth Waters. It illuminates how the brain develops and how learning happens at all ages. Participants of all ages learn how to 'hack their brains'. Scroll down for more on each of these offerings. At Brooklyn's P.S. 20: The Clinton Hill School's ( https://www.ps20.org/ ) an awesome class of fifth graders tell/explore/analyze stories with the help of the learning wall and an amazing P.S. 20 teacher, Ms. Dixon. The learning walls of P.S. 20 are created in collaboration with Inquiring Minds USA. Learning Walls Workshop: Learn how students’ document their understanding of practices and content knowledge individually and collectively. This workshop (which requires the installation of Learning Walls) uses structured thinking and conversation practices to build a visual document while encouraging dialog, debate and collaboration. The wall demonstrates the value of each person in the classroom. Students tend to think deeper when they co create a Learning Wall. They also learn to build consensus, debate and open new avenues for learning. Within a lesson, a unit or an entire year, students practice thinking, learning and reflecting on their understanding of a process or idea. Students learn different roles involved in developing consensus, whether peer-to-peer cognitive modeling, connecting thinking to other’s ideas, recognizing everyone’s input, or reaching the best possible explanation. Students set goals for learning by looking for missing pieces in the group’s explanation of a question or process and revise their visual document as they develop a more sophisticated explanation. As they learn to value and build on the ideas of their classmates, they also compare their experiences of learning a topic and reflect on how differences in perspectives increases their overall understanding. Learning walls make student thinking visible to all. This kindergarten Learning Wall shows how the students explored the unit question: "How am I unique?" 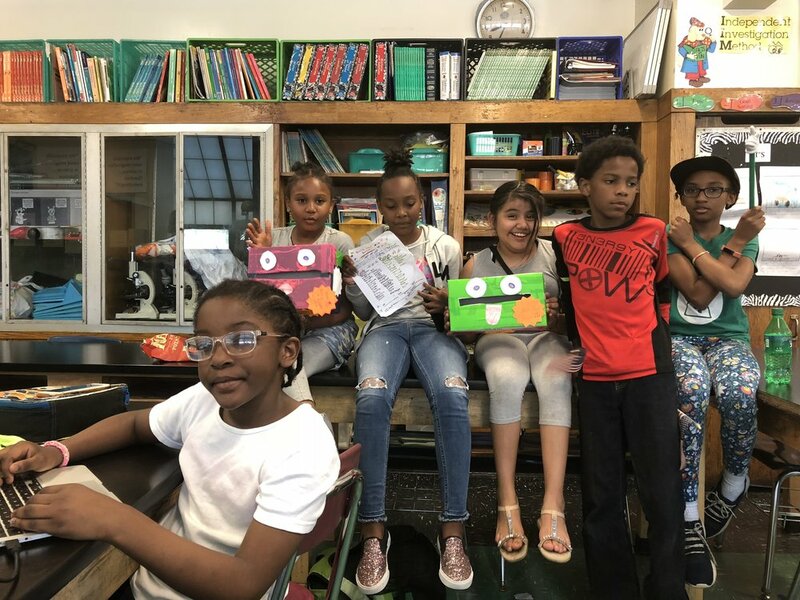 "Look into our eyes","favorite colors" plus self and family portraits, helped this teacher's organize the children's pre-literate, highly visual responses. See 'Our Philosophy' in this tab to learn even more about Learning Walls. During the workshops, teachers and students participate in developing a Learning Wall display and practice coaching groups through its development. This training also covers ways to transform structured thinking practices or strategies into visual displays and to develop group discussion skills that reflect both inclusion and differentiation. Ongoing coaching, in school or remotely, is provided to teachers to assist in refining and building strategies for building group learning practices and Learning Wall displays. Tihun : Peacekeepers from DK Holland on Vimeo. PeaceKeepers Workshop: Students resolve conflicts – democratically - and contribute to school harmony. Student practice these skills in order to assist other students experiencing conflict through both direct and indirect support. PeaceKeepers (i.e., 4th and 5th grade students) train to help resolve conflict and intervene so they can arrive at an amicable solution under the guidance of their coach. This program is focuses on upper elementary students but may be adapted for middle or high school students. Students meet after school (or at lunch) with their coach for ongoing training and group discussions. In addition, the PeaceKeeper coach helps students debrief about the conflicts at weekly meetings or as needed. Our PeaceKeeper program also provides teachers and administrators with dynamic coaching to ensure the program works for the whole school. During the workshops, teachers, parents and students and administrators learn how to use PeaceKeeping as a tool to develop student agency and emotional intelligence. Through role playing identifying different emotional responses, and techniques for building empathy are practiced with dynamic coaching in the context of conflict resolution. Ongoing coaching, in school or remotely, is provided to the PeaceKeeper coach or coaching staff by a facilitator to assist in refining and building the PeaceKeeper student training. Kid Reporters: Students explore their community and tell everyone what they found out! 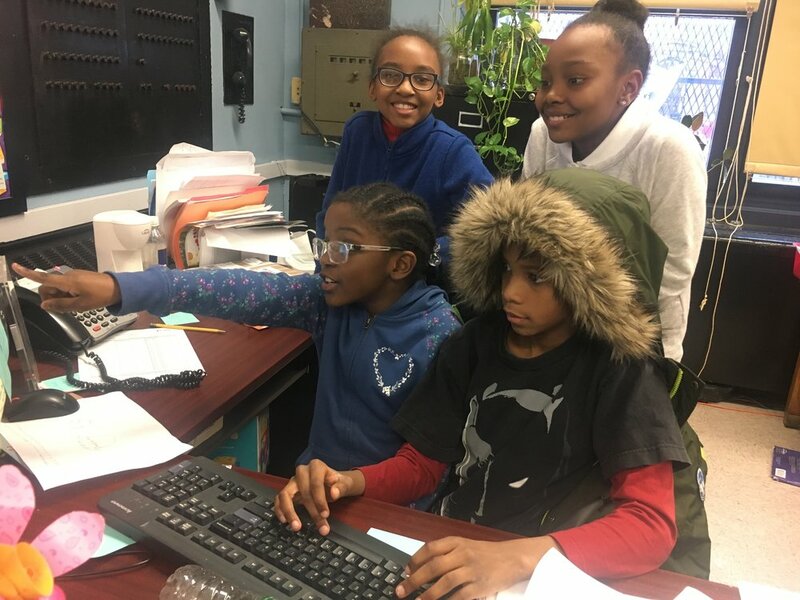 Tapping into their shared interests in their school community, 4th and 5th graders form a journalism team which publishes articles of their mutual choice.These may appear in the school newsletter or online. Using a democratic inquiry process the students decide as a team what to cover, what to research, how to get information on the topic, debate and how to communicate their findings through drawings, photos and other visuals and copy. Each child will take on a role on the team based on his or her talents and interests. We create a learning wall with the team to plot out the articles. In the process, all the students learn the basics of journalistic writing and graphic design. We nurture healthy civic engagement and community. We encourage debate and voting. And it is fun! • Reduce student anxiety, improve mental health and socialization through team work. • Entire school witnesses a positive civic engagement led by the students. Civic-minded students are the greatest resource in growing an effective school. With that in mind, we created processes and programs to guide student development towards civic engagement. Our ultimate goal is for kids to learn to be independent and yet engaged citizensconfident, effective thinkers and doers. We believe that students know best how they learn best. Through the Kids’ Council process, students create and maintain a cooperative peer-to-peer council within the school focused on improving the school’s learning environment as well as common spaces. They research, vote on and act on their own initiatives. Simultaneously, we provide strategies and tools for teachers to move to a facilitation mindset as well as avenues for students to exercise agency. In the process. In addition, they develop independent thinking as well as team building skills. Students in upper elementary grades are often motivated to improve their school before they leave it: They see it as their legacy realizing the children in younger grades look up to them. And, of course, they often have very practical ideas and problem solutions that do not occur to adults. Our process starts with a teacher, student, parent and administrator workshop. Its followed by dynamic coaching of teachers in the classroom by a coach. This orients the whole school to the value and purpose of KIds’ Council. Ongoing coaching within Kids' Council sessions and during the school day keeps the kids on track and helps teachers as well. This interactive workshop examines myths and facts regarding the brain and what research tells us about how this knowledge can inform education practices at different stages of development – from preK to adult. Students, teachers, parents, students and administrators will make their own user manuals for optimizing their brain function in the course of the workshop. We use structured thinking and conversation practices to build a visual document that demonstrates the value of each person in the classroom. Each group evaluates the evidence for common myths about the brain including left-brain vs right-brain and learning styles at different age appropriate levels. Simple but powerful demonstrations of “brain hacking” are used to demonstrate how the brain is always ready to learn and develop new memories. Models of the brain and its components are used to discuss how the brain changes and why it continues to change when you learn – at any age. This will be used to examine fixed versus growth mindset attitudes and practice ways to develop productive growth mindset habits. • Practice growth mindset strategies that work in any setting. Encourages students to ask main and supporting questions about historical events and concepts learned in class lessons. Teachers also play a role by supporting and encouraging their students’ development of ideas. Asks students to research in a variety of forms and then develop their claims or understand the claims of others. Values the importance of what content the teachers decide to present the students. In this main idea, “Disciplinary” refers to a subject such as civics, economics, geography, or history. A student may examine one or all of these subjects in order to gather evidence to share their question and/or answer in class. We examine the process by which students compile their findings and share them with others. The demonstration of knowledge is in the presentation. This could mean creating a portfolio, such as a video or an essay. Since Inquiring Minds is design focused, the arc is part of our design process. We also worked with the team who developed C3 Framework (which is being adapted in many state standards including New York State through Engage NY). The centerpiece of inquiry is the Inquiry Arc. With our focus on developing disciplined civic engagement, the arc has become one of our best tools. In respect to the social studies state standards, The College, Career, and Civic Life (C3) Framework encourages critical thinking for K-12 students. Inquiring Minds designed the visual format for this framework which prepares students to be active citizens by offering a level-by-level structure showing how a student at every grade-level can act thoughtfully in a democratic environment that continues to develop culturally and physically. The C3 Framework document also offers an overview of their English Language Arts/Literacy Common Core Connections. As noted in the ELA/ Literacy Common Core Standards, students who are college and career ready can independently ‘construct effective arguments and convey intricate or multifaceted information' and ‘use relevant evidence’ when making arguments. Where did the C3 Framework come from? "The College, Career, and Civic Life (C3) Framework for Social Studies State Standards was conceptualized by individual state leaders in social studies education and supported by fifteen professional organizations representing four core social studies content areas: civics, economics, geography, and history. The C3 Framework was written by experts in the academic disciplines and social studies education in collaboration with classroom teachers, state social studies education leaders, and representatives of professional organizations. Work on the C3 Framework began in 2010 with the development of an initial conceptual guidance document written by individuals from the Council of Chief State School Officers (CCSSO) Social Studies Assessment, Curriculum, and Instruction state collaborative and by representatives from the professional associations. The framework writers were selected in consultation with the participating professional associations. Feedback was solicited throughout the process from stakeholders, including invitational reviews with professional organizations, teachers, and critical friends."